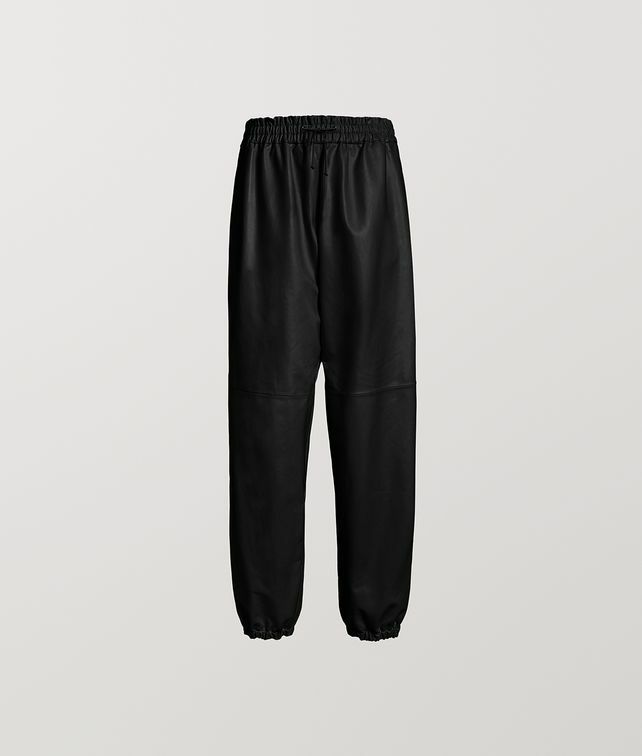 "Cut from soft matte calfskin, these pants are an elevated take on the classic jogger. Featured in the Spring/Summer 2019 presentation, they reflect a return to essentiality-- translating Bottega Veneta’s heritage of craftsmanship with a modern and democratic sensibility. •	Featured in the Spring/Summer 2019 presentation"